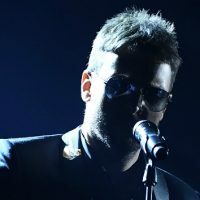 Is Eric Church unveiling his new single Thursday morning? ABC/Image Group LA Odds look good that we’ll be able to hear new music from Eric Church this Thursday at 9 a.m. ET. If you check any of the Chief’s socials, you’ll notice they all feature the same message, in a simple white font on a black background, conveying that date and time. If you visit his website, there’s also a countdown clock measuring the minutes until that moment. The North Carolina native’s most recent single was “Round Here Buzz,” which made it to the top of the chart in January. Eric hasn’t put out a new album since 2015’s surprise Mr. Misunderstood, which he unveiled during that year’s CMA Awards.